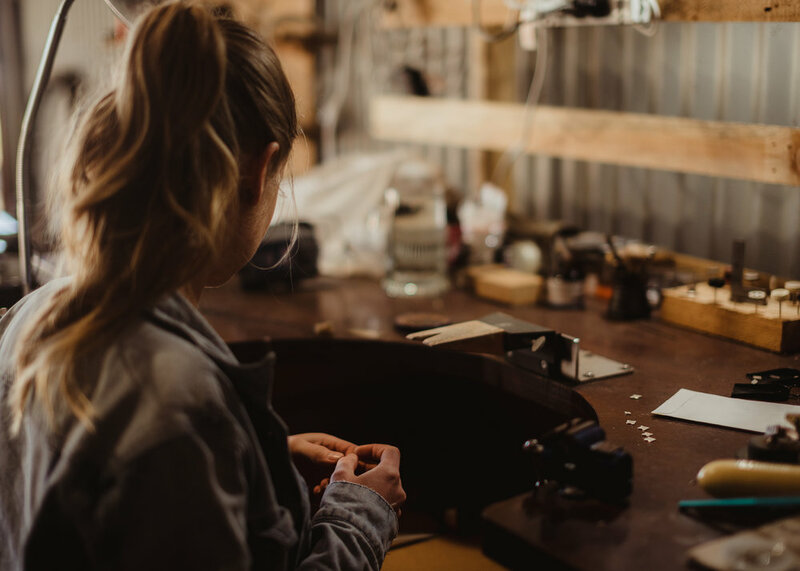 After two years studying Jewellery and Object Design at the Institute of Technology, I found my way back to the South West and into the welcoming workshop of John Miller Design. Having the opportunity to hone my skills in a practicing workshop means I am always presented with new opportunities and challenges and discovering new skills and techniques. The past years have taught me to have patience in the process. I am always inspired by the last piece I made, motivated to change and to challenge. I now split my time between the John Miller Design workshop and my new, very own workshop where I create my People of Victory pieces. It is a dream come true. Nothing inspires me more then being at the workbench, my space. Grateful for my tools, my maker hands, the honesty and heart poured into every piece I create.